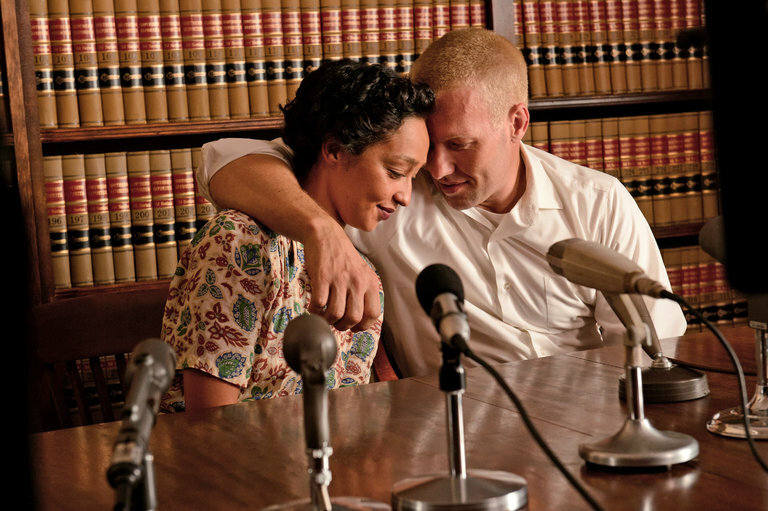 Comments Off on Review: In ‘Loving,’ They Loved. A Segregated Virginia Did Not Love Them Back. No bodices seem to have been harmed, much less ripped, during the making of “Belle,” a period film at once sweeping and intimate, about an 18th-century Englishwoman who transcends her historical moment. Even so, peekaboo bosoms tremble throughout the movie amid the rustle of luxurious gowns and the gasps of polite company as conventions are crushed underfoot. Melodramatic and grounded in history, “Belle” is enough of an old-fashioned entertainment that it could have been made in classic Hollywood. Well, except for one little thing that would have probably given old studio suits apoplexy: The movie’s prettily flouncing title character is biracial. You meet her as a child, just as she’s being taken by her father, a navy captain, Sir John Lindsay (Matthew Goode), from some shadowy mystery hovel to a large country manor. There, in an elegantly appointed room, the kind that announces the refinement of its inhabitants and whispers their entitlement, Sir John formally claims the child as his own and promptly hands her over to his uncle, Lord Mansfield (Tom Wilkinson, very good), and Lady Mansfield (a dry, funny Emily Watson). The Lord and Lady keep their lips, necks and manners stiff, but take the girl in and raise her as their own — or almost. Soon she’s laughing in the garden, and then she’s a genteel beauty (a fine Gugu Mbatha-Raw) facing life as a black woman in a slave-trading country. Read the entire review here and watch an anatomy of a scene here. Comments Off on To the Manner Born? Barack Obama’s victory in November demonstrated, to the surprise of many Americans and much of the world, that we were ready to see a black man as president. Of course, we had seen several black presidents already, not in the real White House but in the virtual America of movies and television. The presidencies of James Earl Jones in “The Man,” Morgan Freeman in “Deep Impact,” Chris Rock in “Head of State” and Dennis Haysbert in “24” helped us imagine Mr. Obama’s transformative breakthrough before it occurred. In a modest way, they also hastened its arrival. CRAMMED into this year’s field of 10 best picture Oscar nominees are British aristocrats, Volvo-driving Los Angeles lesbians, a flock of swans, a gaggle of Harvard computer geeks, clans of Massachusetts fighters and Missouri meth dealers, as well as 19th-century bounty hunters, dream detectives and animated toys. It’s a fairly diverse selection in terms of genre, topic, sensibility, style and ambition. But it’s also more racially homogenous—more white—than the 10 films that were up for best picture in 1940, when Hattie McDaniel became the first black American to win an Oscar for her role as Mammy in “Gone With the Wind.” In view of recent history the whiteness of the 2011 Academy Awards is a little blinding. …What happened? Is 2010 an exception to a general rule of growing diversity? Or has Hollywood, a supposed bastion of liberalism so eager in 2008 to help Mr. Obama make it to the White House, slid back into its old, timid ways? Can it be that the president’s status as the most visible and powerful African-American man in the world has inaugurated a new era of racial confusion—or perhaps a crisis in representation? Mr. Obama’s complex, seemingly contradictory identity as both a man (black, white, mixed) and a politician (right, left, center) have inspired puzzlement among his supporters who want him to be one thing and detractors who fear that he might be something else.